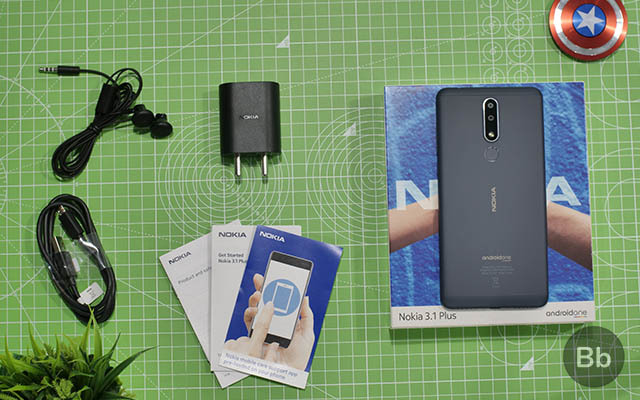 Home News Nokia 3.1 Plus: What’s In the Box? Nokia 3.1 Plus: What’s In the Box? HMD Global has just launched the new Nokia 3.1 Plus smartphone in India. It is priced at Rs. 11,499 and it is set to go on sale in the country starting later this month. We already have the device with us, and we will be giving it the ol’ review treatment. As you can see, the box contents of the Nokia 3.1 Plus are fairly straightforward. You get all the standard set of contents like a micro USB cable, a wall charger, etc. And, unlike some other devices like the Realme 2, Redmi 6, etc, the Nokia 3.1 Plus comes with a pair of earphones in the box. It is a nice addition and I am glad that Nokia decided to throw one in, considering the fact that the device packs a 3.5mm headphone jack. 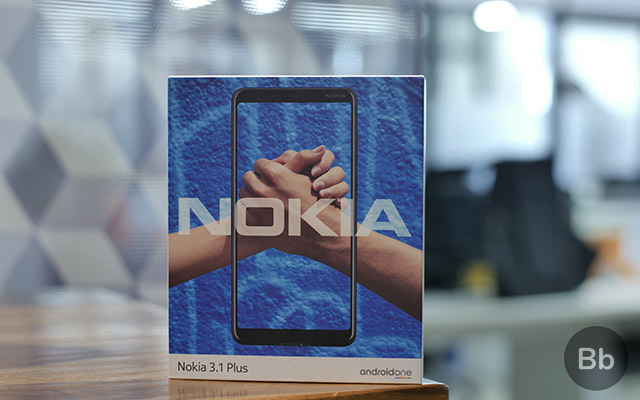 Equipped with an Helio P22 processor and up to 3GB RAM, the Nokia 3.1 Plus is priced on the higher side, and ends up competing with the likes of Xiaomi’s Redmi 6 Pro and Asus Zenfone Max Pro M1, even though it’s not as powerful as those phones. Stay tuned for our full review of the Nokia 3.1 Plus to know whether this pricing hurts the phone’s chances.